Fall has finally arrived here in Santa Fe. The aspens are painting the hillsides in their characteristic golden hues, and the skies are soon to be dotted with majestic hot air balloons. There is perhaps nothing more beautiful than a fall morning, when the skies above northern New Mexico are taken over by the mass ascension from balloons before the sun has fully risen. Each fall, the skies above Albuquerque become alight with the glow of hot air balloons. Rooms in Albuquerque and surrounding areas book up quickly, so to see or be part of the majestic and internationally acclaimed festival, don’t hesitate to book your room at our luxurious Santa Fe Inn today. For more than 40 years, the International Balloon Fiesta has been held in the skies of Northern New Mexico, in neighboring Albuquerque. Located just a short drive or train ride away, Santa Fe is a wonderful place to stay while in town for the ballooning festival. 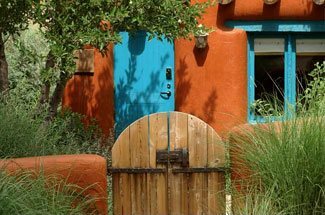 You’ll have access to the exquisite restaurants of Santa Fe, the thriving art, the beautiful scenery, and the vibrant yet welcoming community that Santa Fe is known for. Head to Balloon Fiesta park around 5:30 in the morning to watch the mass ascension, where over 500 balloons rise into the pre-dawn skies at the same time. Don’t forget to take your camera along, as this is an unforgettably beautiufl sight to behold. The event spans over nine days, and has been one of the most photographed events the world over. Tickets can be purchased in advance, or the day-of. If you want to give ballooning a try yourself, take flight with Santa Fe Balloons where you’ll enjoy New Mexico’s scenic beauty in a whole new way. After you’ve taken in enough ballooning beauty for one day, you may as well head to the Anderson Abruzzo International Balloon Museum. Located at Balloon Fiesta Park, this wonderful museum offers visitors a glimpse into the history of this popular sport. Exhibits have been developed in a way to combine historic artifacts from ballooning over the years, in addition to in-depth exhibits regarding the science of how it works and how ballooning has been used since the 1700’s. 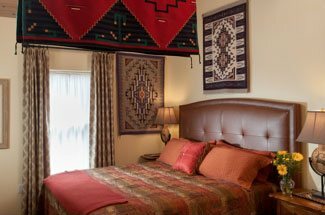 When you’ve had your fill for the day, come back to our Bed and Breakfast Inn in Santa Fe and rest and recharge for another exciting day in Santa Fe. Book your room today, so you don’t miss this exciting activity.